Porterville, CA, October 26, 2004 – TEDCF Publishing, a leading Authorized Autodesk Publisher of interactive courses for Autodesk Inventor, today announced the availability of Autodesk Inventor 9 Accelerated Productivity: Assemblies and Advanced Concepts, the second in a series of courses for Autodesk Inventor 9. Assemblies and Advanced Concepts provides over 4 1/2 hours of interactive instruction on working with assemblies, iParts and iPart Factories, iFeatures, iMates, and animations. 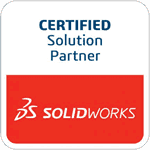 Step-by-Step instruction also shows how to construct adaptive parts and assemblies, mirrored and copied assemblies, and flexible assemblies. 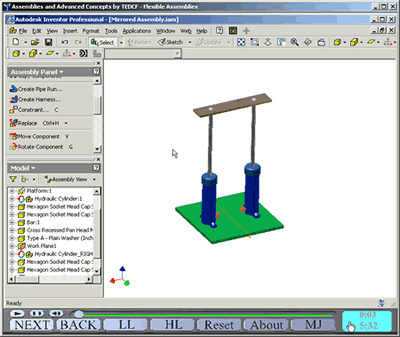 Assemblies and Advanced Concepts also includes many other assembly modeling techniques like setting up motion and transitional constraints, checking for collisions, and using the Contact Solver. More information about Assemblies and Advanced Concepts, and a complete list of lessons.